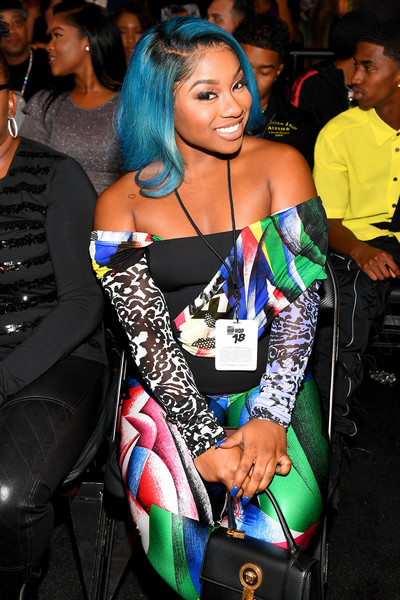 Reginae Carter is looking to make her own lane and make a name for herself outside of just being Lil Wayne & Toya Wright's daughter. As expected, Toya wasn't happy about it. But, Reginae feels like she's grown and she needs to live for her. Well, things are already looking up for her. According to Deadline, Reginae is set to star in the LIFETIME original movie, Pride and Prejudice: Atlanta, contemporary take on Jane Austen’s early 19th century classic, following the 2005 adaptation film, Pride and Prejudice. Pride and Prejudice: Atlanta features an African-American cast led by Reginald VelJohnson as Reverend Bennet, a pastor of a prominent Southern Baptist church, and his wife, Mrs. Bennet (Jackée Harry), author of a self-help book on how to find the perfect husband. Needless to say, Mrs. Bennet is less than thrilled that all five of their daughters — Lizzie (Tiffany Hines), Jane (Raney Branch), Mary (Brittney Level), Lydia (Reginae Carter) and Kitty (Alexia Bailey) — are still single. When the very eligible Will Darcy (Juan Antonio) arrives in town, Mrs. Bennet sets her sights on the handsome bachelor for daughter Lizzie, leading to a comedic modern-day take on themes familiar to fans of the novel. 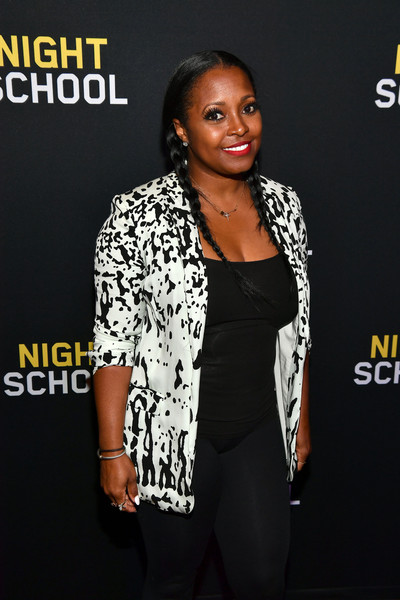 Other castmates include Keshia Knight Pulliam, Kellee Stewart, and Victoria Rowell. Rhonda Baraka will helm the film from a script by Tracy McMillan. The film will be produced by Big Dreams Entertainment and Swirl Films, with Leslie Greif, Naomi Despres and Tracy McMillan serving as executive producers. Sounds like something we would watch. Good luck Reginae on your acting debut! 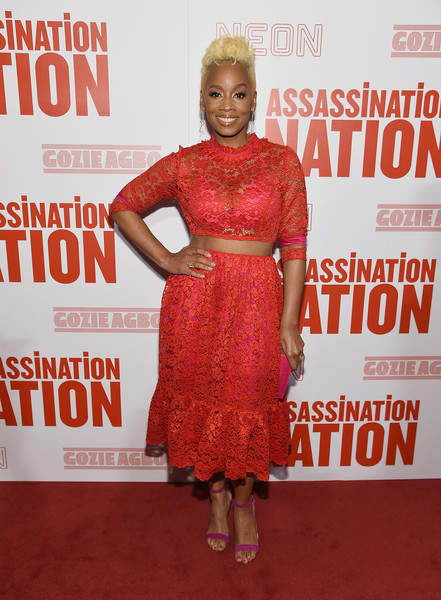 Anika Noni Rose is gearing up to whoop some ***. It's inspired by living boxing trainer legend Ann Wolfe. It's a story about a strong mother who pulls herself and her two daughters from the gutta to make a name for herself. Pulling herself and her two daughters up from poverty, abuse, homelessness, and criminality, Marsha Blackstone (Rose) reached the pinnacle of boxing as a fighter and has become equally as successful a trainer known for unconventional methods and a fiercely combative style. Driven by the belief that any step backward is a slippery slope to her former life, when the boxer Marsha trained to a world title fires her, this complex and inspiring woman is determined to find a new fighter to eclipse the one she lost, but her emotional baggage and militant style could be her undoing in her professional and personal life, especially with her two grown daughters, and a new baby on the way. "Beast Mode" is the working title as of now. Tina Mabry is set to direct the pilot. David Schneiderman will write it and he'll also produce it alongside Ann Wolfe and MACRO in association with Studio T.
Before season 2 of "Grown-ish" premieres in January, fans get the first sneak peek at what the new season will bring. Zoey Johnson (Yara Shahidi) is now a sophomore and viewers will get to see what life is like after summer break. Especially, her love life, since she decided Luca (played by Luka Sabbat) is the one she wants to be with. In the clip, Zoey appears to be ready to kick off her sophomore year with positivity and on the right foot and she's optimistic about her relationship with Luca. At the end, there's a quick PSA to remind folks to get out and vote during the midterm elections. Check it above. Tinashe is ready to flex her singing and dancing skills for FOX's live rendition of RENT. The "2 On" singer who was robbed on "DWTS" will be joined by Kiersey Clemons (Dope), singer/actor Mario (Empire), Vanessa Hudgens (Grease Live), Valentina (RuPaul's Drag Race), Brandon Victor Dixon (Jesus Christ Superstar Live), Jordan Fisher (Grease Live), and Brennin Hunt (Walking With Herb. Based on Larson's Tony-winning musical, Rent is a rock musical loosely based on La Boheme that tells the story of a group of impoverished young artists struggling to survive and create a life in New York's East Village in the days of the Bohemian Alphabet City and under the shadow of HIV/AIDS. Tinashe will portray Mimi Marquez, a dancer who struggles with addiction. Mario will take on the role of Benjamin Coffin III, Mark and Roger’s former roommate-turned-landlord, who is after their rent. This sounds like the makings of a good live production. RENT is scheduled to air January 27th on FOX. Will you be tuning in? NEXT: #ELECTIONDAY FAB! Diddy, LeToya Luckett, Idris Elba, Quavo, Tiffany Haddish, Eve & More Are Getting To These Polls!